The lovely parish church of St Michael in the Cotswold village of Withington dates to the Norman period. Perhaps the most interesting historic feature of the church is the richly carved south doorway arch, seen here. 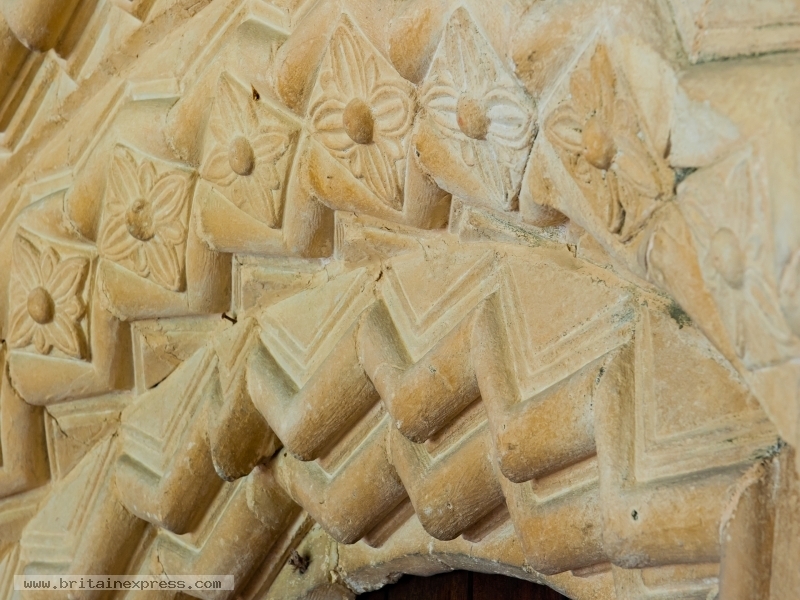 The arch is carved in traditional Norman style, with multiple orders of zig-zag patterns and sun flowers designs. The carving probably dates to about 1150.